Lightweight woven cotton fabric with a dry and snappy hand/feel. 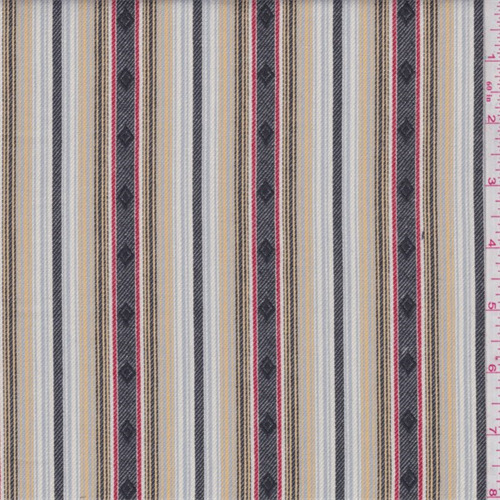 Vertical ikat vertical stripe with embroidered accents. Suitable for shirts. Machine washable.